This whimsical and exciting work is installed in the Theatre District in downtown Petaluma. Cherry Soda, by Robert Ellison, is making its second appearance in Petaluma, having once been installed at Lucchesi Park. 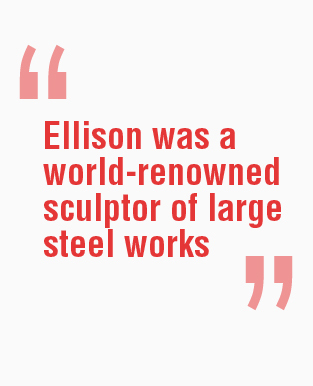 Ellison, who died in 2012, was a world-renowned sculptor of large steel works, has been the subject of two documentary films, and resided at his mountaintop studio in nearby Penngrove, California. 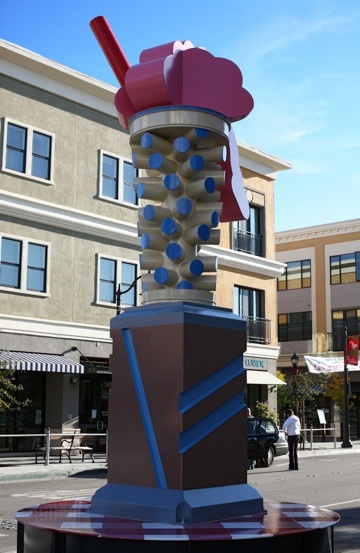 The Voigt Family Sculpture Foundation worked closely with the City of Petaluma and the Petaluma Public Art Committee to facilitate the installation of Cherry Soda. 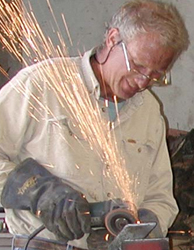 Robert Ellison’s assistants took pains to make sure the base for Cherry Soda was level and secure. Foundation founder Al Voigt provided the inspiration for the “red gingham tablecloth” base for Cherry Soda, as an innovative solution to a vexing installation challenge. 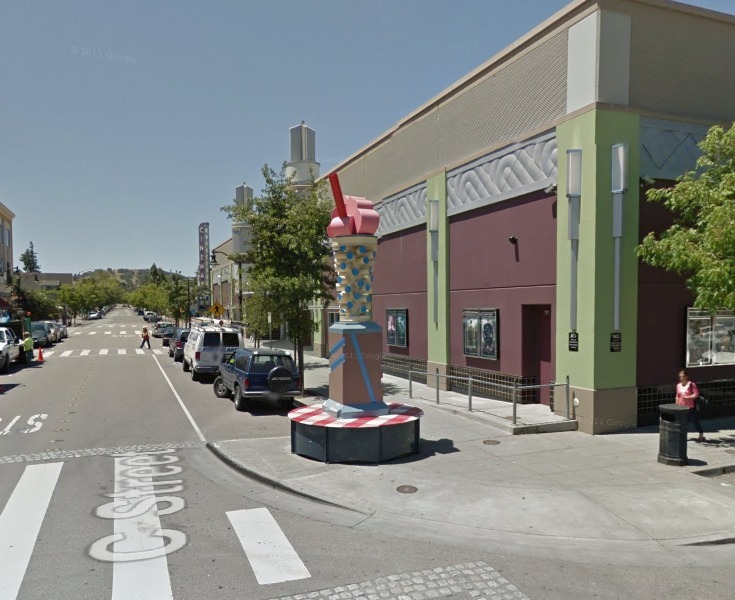 Cherry Soda is installed at the corner of Second and C Streets, next to the cinema in downtown Petaluma.